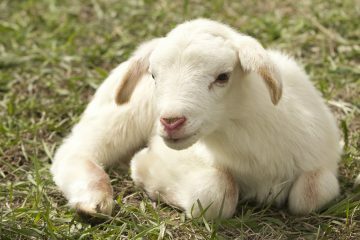 Urban farming and gardening is becoming more and more popular than you and I would think. 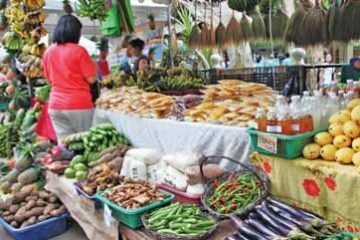 One good indication is the Urban Agriculture Trade Show that was staged by Agriculture Magazine on May 1-3 at the Rockwell Tent In Makati City. Right on opening day, the event was literally swarmed by attendees. 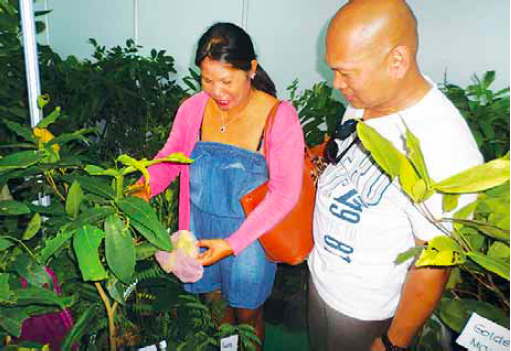 Ernesto and Maritess Dancel proceeded straight to the Urban Agri trade show from the airport to look for their favorite fruit trees. Ernesto had just planed in from Dubai that day. We didn’t expect that the event would attract people from faraway places. Among the first arrivals were Ernesto Dancel and his wife, Maritess. Ernesto is an OFW from Dubai. After planing in and checking in at a nearby hotel with his wife who met him at the airport, they immediately proceeded to the Rockwell Tent to attend the trade show. They were particularly interested in exotic fruit varieties. They didn’t only attend the first day, they also came back the next day to buy more fruit trees for planting. Others who came from distant places included Dr. Wilfredo Tiu of Dinagat Island in Mindanao; Al Balce and Lourdes Lobregat who operate the Abundant Orgnic Enterprises Multi-Purpose Cooperative in Zamboanga City; Wilhelmino R. Mendoza of Cagayan de Oro, a banker who is interested in farming; Nestor Archival of Cebu City, who came to watch the Pacquiao-Mayweather fight at Rockwell and to attend the trade show; and William and Zenaida Miranda of Alaminos, Pangasinan. They came to attend the trade show to find out what’s new and what’s workable in urban farming. They were not disappointed because there were so many doable things that they can adopt in their own urban farming and gardening. There were also a lot of ideas discussed in the seminars, which were all free. Carlo Sumaoang of Novatech has come up with a vegetable starter kit which could entice the young and not-so-young to try growing vegetables. We saw Sen. Cynthia Villar and Sister Ping Ocariza of the Daughters of St. Paul showing a lot of interest in the starter kit. One kit in a box consists of a biodegradable coco husk pot, potting medium of coco peat and organic fertilizer, and instructions from the beginning up to harvest time. In fact, there is also a recipe at the back of the instruction manual. Jan Demdam with grow bags planted to lettuce, installed on racks placed one on top of the other. Macondray Plastic Products, Inc. demonstrated how one can grow so many leafy salad vegetables and herbs on just three square meters. This is by using their grow bags which can be installed on a slanting rack, with each tier placed one above the other. The grow bags are tubes of durable plastic about six inches in diameter and a meter long or longer. The tubes are filled with the appropriate growing medium, and holes are punched at desired distances for planting the seeds or seedlings. stakes, and so they can be called ‘tower planters’. That’s what is mostly done at the Costales Nature Farms in Majayjay, Laguna. 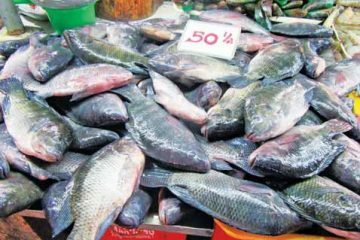 products are used in dryers for drying various commodities like fruits, vegetables, and fish. 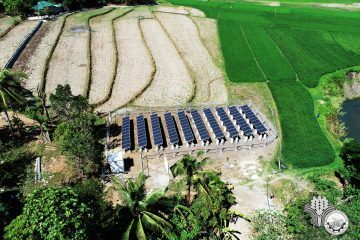 Then there is the technology of Dr. Eduardo Paningbatan Jr., a retired professor and soil science researcher from UP Los Baños. He grows vegetables and herbs in soda bottles using a potting medium and nutrients that he himself developed. He has also developed a technique in aquaponics whereby he “seats” plants grown in paper cups on a horizontally-halved drum filled with water. His plants in recycled soda bottles were bestsellers in the trade show. Mary Ann Wu of Ever Rich Nursery also showcased her self-watering pots which will enable urban gardeners who work in offices to take care of plants without having to water them every day. One company also showed how urban dwellers can grow plants inside their homes. The company called Grassroots demonstrated how you can grow your own lettuce and other plants that you need in your kitchen even if you live in a condominium. You can do that by growing your veggies in a cabinet with glass doors equipped with LED lighting. The cabinet with growing plants could be an interesting conversation piece among visitors, and it can be decorative too. The vegetables are grown the hydroponics way. They are grown in trays and seated on water supplied with a nutrient and mineral solution. The typical cabinet is 61 inches high, 29 inches wide, and with a depth of 16.5 inches. The plants are grown in three shelves with a controlled temperature of about 26 degrees Celsius. Aside from different varieties of lettuce, other plants that will grow well inside the cabinet include basil (both green and purple), parsley, arugula, pechay, chives, and leek. One cabinet with the above dimensions can accommodate 36 plants. Lettuce will be ready for harvesting in five to six weeks from planting while parsley and arugula will take about eight weeks. The system was developed in Japan and is distributed locally by Grassroots. The cabinet will last a long time. And the electricity requirement is not much. The cost? A cool Php90,000 per unit. Easily one of the best attention-getters was the display of Allied Botanical Corporation which was dominated by green and colored lettuce plants as big as one’s head, grown in black plastic bags. Aside from that, they exhibited fruits of their new tomato and pepper varieties. One of the most notable was the tomato Rugantino, which weighs 150 to 200 grams per fruit. The fruit is in the shape of an ox heart, and excellent for salads because it is tasty and fleshy. Allied Botanical also displayed what it calls micro-greens. These are newly sprouted seedlings of different vegetable seeds which are harvested for salads as soon as they have new leaves. These micro-greens are sprouted seeds of varieties that are usually open-pollinated (not hybrid) and are plentiful and cheap. 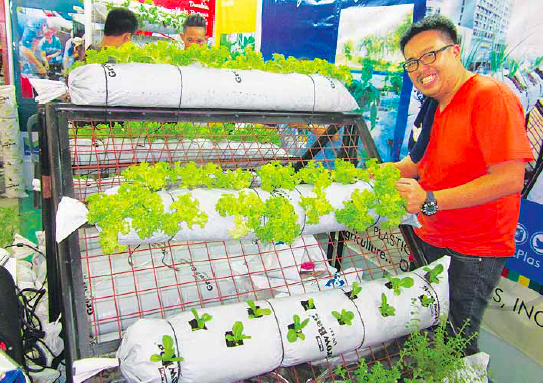 The SNAP hydroponics developed by the team of Dr. Primitivo J. Santos of UP Los Baños was a big hit at the trade show. This was featured in detail in the May issue of this magazine. 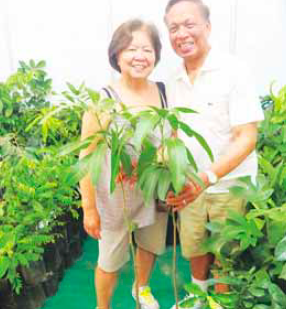 William Miranda and wife Zenaida were the earliest visitor to the Urban Agri trade show. 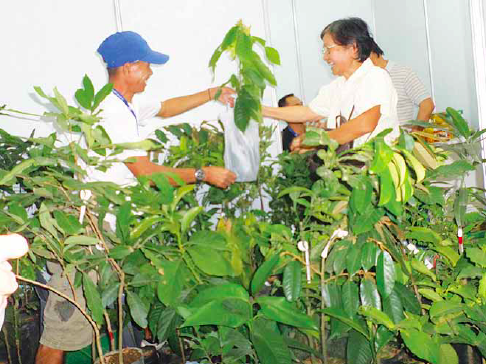 They purposely went to the show to buy grafted Golden Queen mango seedlings for their farm in Pangasinan. We discussed our technique of growing fruit trees in containers at the trade show. As we expected, there were a lot of people who wanted to try the technique. Actually, many favorite fruit trees can be grown successfully in rubberized containers or something similar. Such fruit trees include pummelo, chico, different varieties of makopa, Perante orange and other citrus species, pomegranate, balimbing, bignay, and sweet tamarind. Growing fruit trees in containers has its advantages, especially in urban areas where space is usually limited. The trick is to use the right growing medium, which could be a mixture of garden soil, organic fertilizer, and carbonized rice hull or fresh rice hull. The trees should be situated in a sunny location and given ample space. 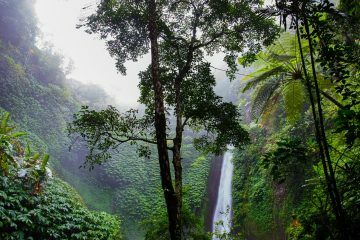 Since the growing medium is limited, the trees should be fertilized regularly with organic as well as chemical fertilizer. They should also be watered regularly. The very healthy fig trees exhibited by Kainitz Corporation were real attention-getters. No less than Sen. Cynthia Villar bought a couple that were in fruit at Php2,500 each. Many others bought the rest of the available stocks. 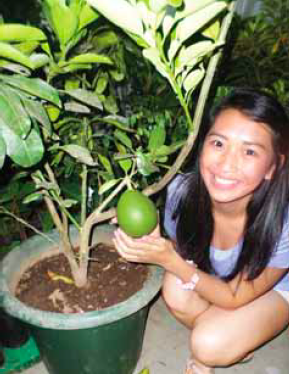 Bea Reyes posing with fruiting pummelo in a container at the Sarian Farm booth. The lectures drew full houses. Among the lecturers were Dr. Fernando Sanchez Jr., who discussed edible landscaping, a technique that combines aesthetics and plant production. Dr. Eduardo Paningbatan Jr. expounded on his plants grown in soda bottles, while Rico Omoyon discussed the many benefits of raising stingless bees. They don’t only produce honey, propolis and other bee products, they are also effective as plant pollinators. 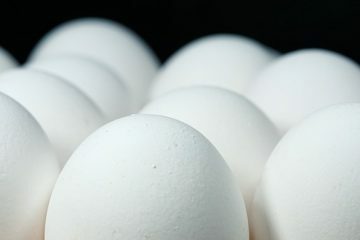 Other lecturers talked about Spirulina as a most complete food, modular hydroponics, and more. At the urban agri trade show, you don’t only come to know about the latest technologies in growing vegetables and other crops. You also meet some of the nicest agripeople. We met Edna V. Sanchez, for instance, who is doing her own brand of farming in Jalajala, Rizal. We were really surprised to see the dragon fruits she was selling at the trade show. We considered them too early because we usually observe that dragon fruit in Luzon is harvested starting in late May or early June. Her red-fleshed fruits were big, sweet, and juicy. When we asked her what she did to make the plants bear fruit early, she replied that she did nothing special. Except that they stressed the plants and they also pruned each hill, leaving only 10 to 15 branches per hill. They watered the plants twice a week. We were also surprised when she told us that she was able to make her plants bear fruit in just seven months from planting. In fact, even the fellow who sold her the planting materials was also surprised because he himself had not experienced that. In September 2011, Edna related, she planted 4,000 one-foot cuttings in her farm. By the following April, she already made her first harvest. A buyer (right) being handed the Red Criollo cacao seedlings that she bought. By the way, Edna worked as the team leader of a division in Meralco for many years. When she retired in 2008, she did not know what to do but to travel to different parts of the world. For two years, she traveled to Canada, United States, Europe, and Australia. After two years of “gallivanting,” she realized that what she was doing was not fulfilling after all. Fortunately, one day, a sister who was with the Department of Agriculture brought her to attend Toto Barcelona’s harvest festival in Jalajala. What she saw was good, very inspiring. The beautiful leafy vegetables, tomatoes, eggplant, watermelons, honeydew melons, and other high value crops impressed her. She was immediately hooked on farming and bought two hectares in Jalajala. But her first crops of eggplant, tomato, and finger pepper were a disaster. She lost money because her tomatoes fetched only R12 per kilo as there was a glut on the market. What she did was to ferment the tomatoes into fertilizer. Also, many of the plants were infested by insects since she did not use any insecticide. The disappointing experience did not keep her down, however. When she came to know about dragon fruit, she immediately decided to grow the crop on a commercial scale. She first planted 4,000 hills using mature bamboo stumps as support. This was followed by another 4,000 hills a year later using concrete posts as support. Today, they are all fruiting size. Marketing was her problem at first. But she sought the help of the supplier of her planting materials so she could dispose of most of her harvest. She also sold some to former co-employees at Meralco, and processed the unsold fruits into wine, vinegar, and jam. She sought the help of the Department of Science and Technology (DOST) on how to make sweet wine as well as with packaging design. Today she sells her 750 ml bottle of dragon fruit wine at Php220. Some fruits are also made into jam and the skin is made into vinegar. She claims that her dragon fruit vinegar is comparable to apple cider vinegar. A 250 ml bottle fetches Php150. Her wine could be an excellent gift during Christmas and other occasions. It can also be an affordable corporate giveaway, for instance. Her special vinegar could likewise be considered good for gift-giving. Edna has another unique product–her yellow ketchup which is made of squash. The ketchup is unique not only for its yellow color but also because of its high vitamin A content. It happened that one day, a trader asked her to produce squash which the trader would buy. However, when Edna had produced the squash, the trader no longer wanted to buy. So what should she do with all the kalabasa she harvested? She made them into yellow ketchup. As a ketchup, the product is good. But a number of those who tasted it at the trade show said that it is even better as a salad dressing. We got some bottles and tried it with co-employees at the Manila Bulletin. They agreed that Edna’s yellow ketchup is great as salad dressing. One person who was convinced about the quality of Edna’s squash ketchup was Dorie S. Bernabe, president of the Philippine Horticultural Society. She bought a carton containing 24 bottles. On the whole, the Urban Agriculture Trade Show sponsored by Agriculture Magazine was a big success, if we may say so ourselves. Next ArticleWhat’s Up with Our Municipal Fisheries?